Introducing SkyDish, a revolutionary product that keeps your bar soap dry and prevents stains with it's unique design. It's the soap dish everyone is talking about! 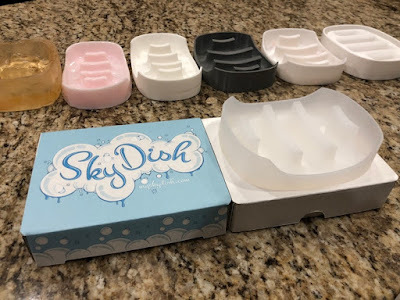 Check out the SkyDish Kickstarter campaign here and be one of the first to own the SkyDish with free shipping included! Want to know more? Check out the video below!